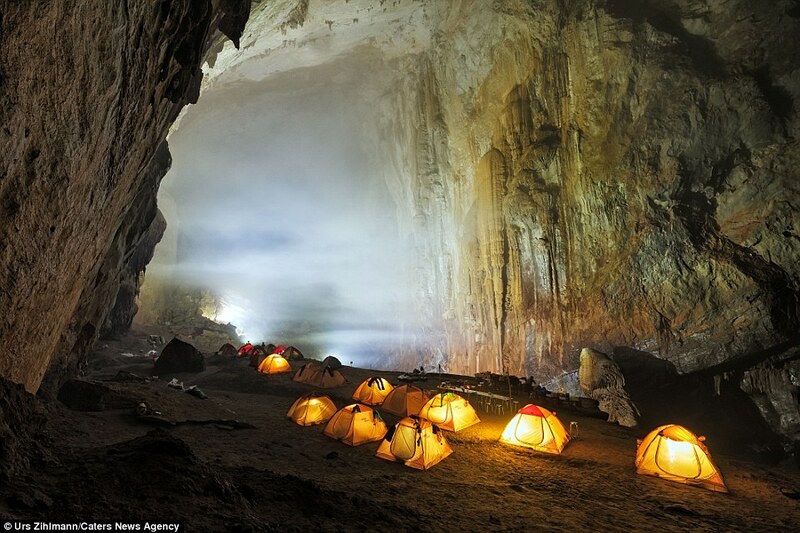 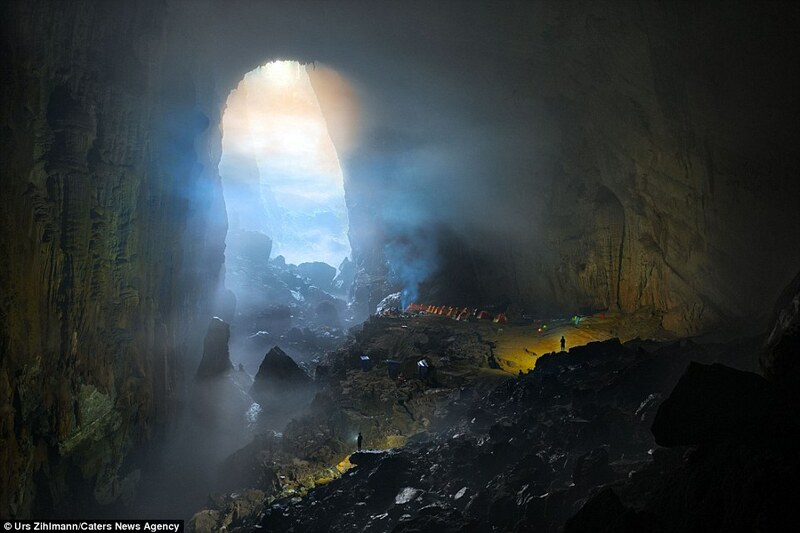 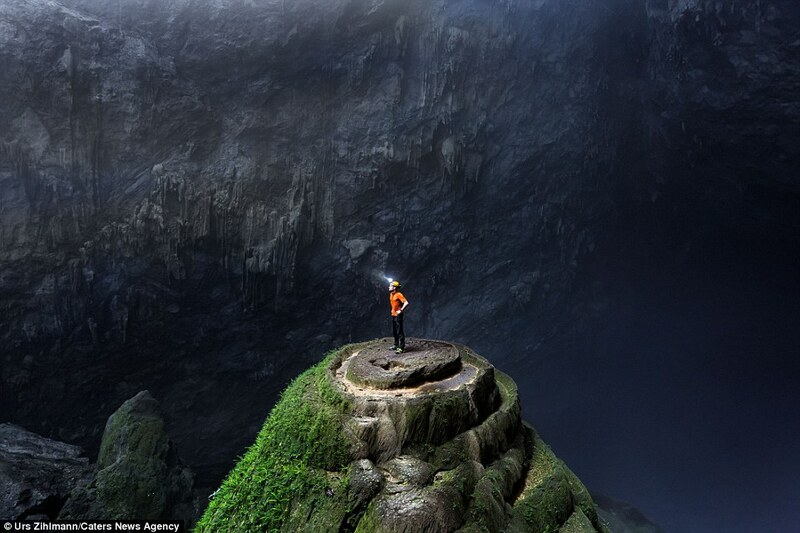 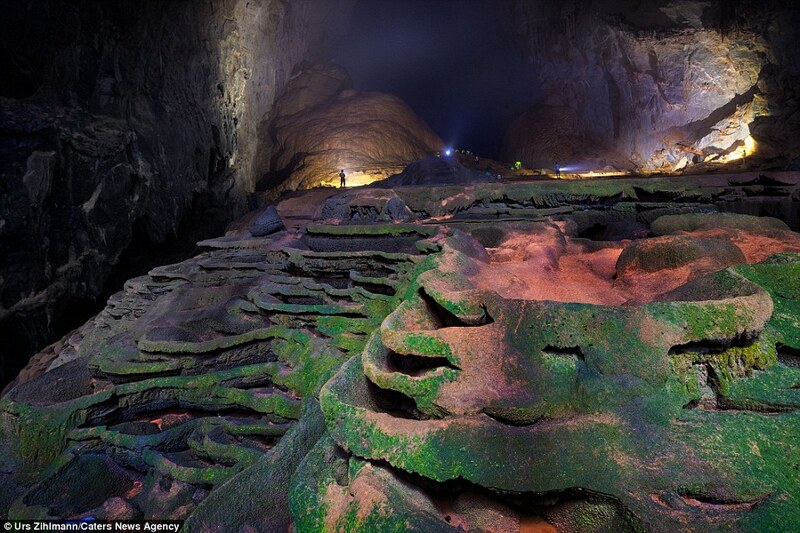 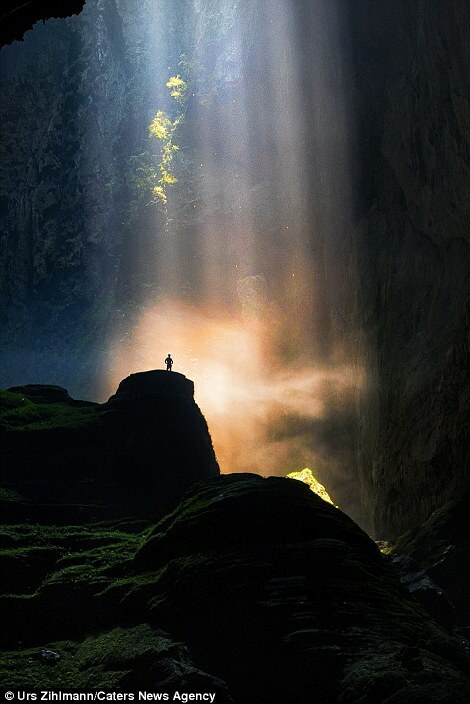 These incredible snaps giving a glimpse inside the world's largest cave will take your breath away. 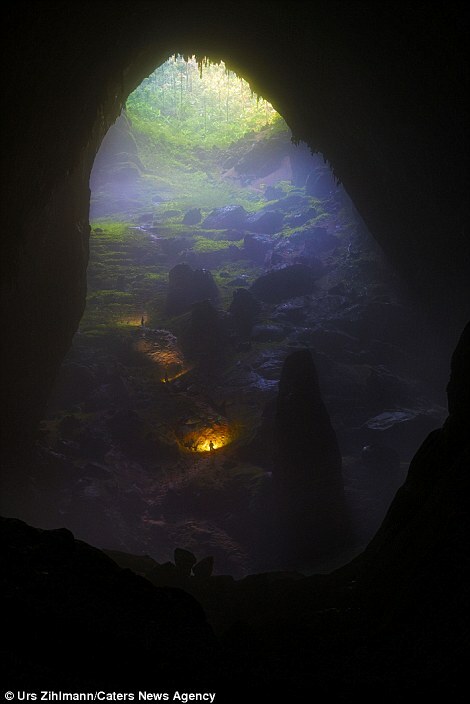 With the eerie green glow inside the mystical, echoing cavern, Vietnam's Han Son Doong cave looks like it could be on the edge of the world. 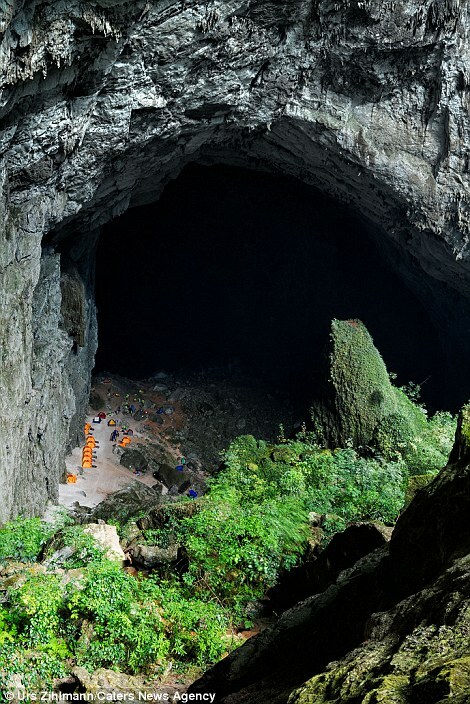 The huge cave - large enough to fit a 40-storey skyscraper - is so massive that it has its own climate, and clouds even form inside it. 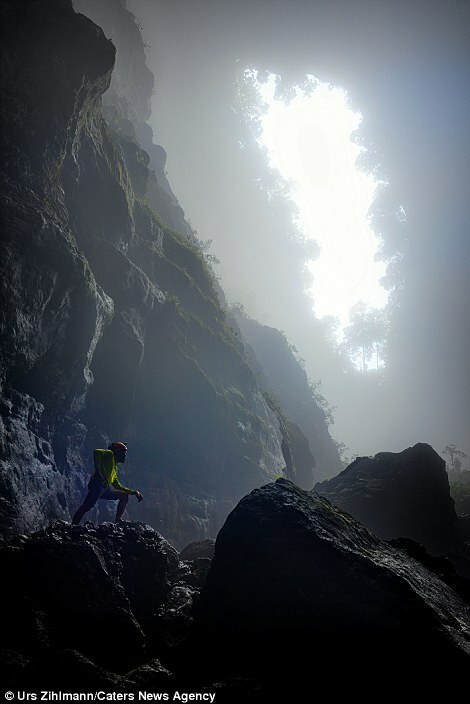 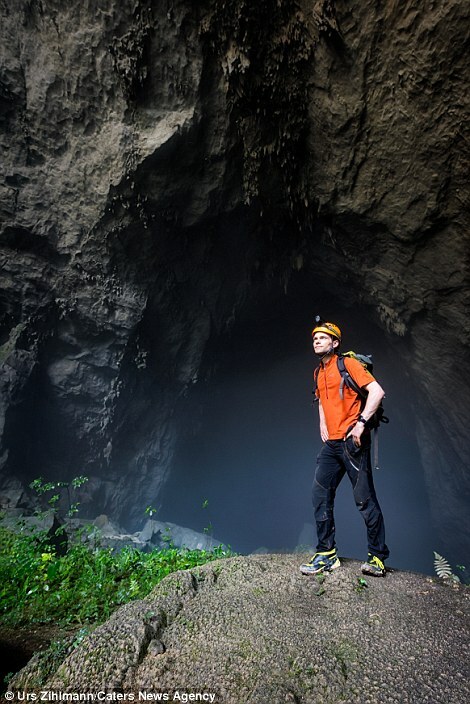 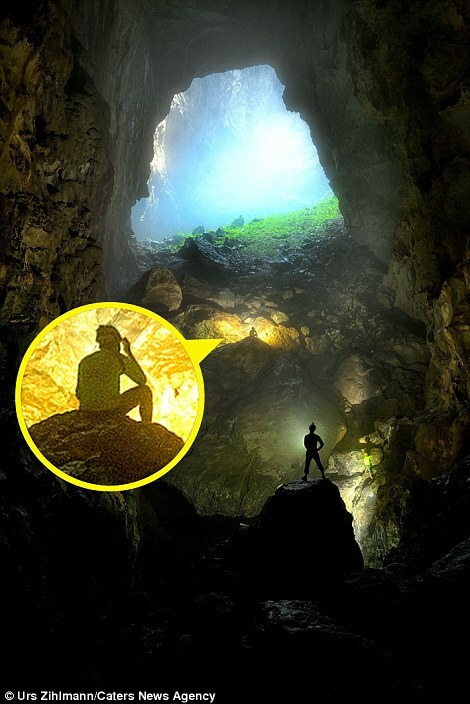 It's not a trip for the faint-hearted - it takes a half day trek through a stunning jungle peppered with butterflies and a journey through knee deep rivers to finally get to the entrance of the colossal cave. 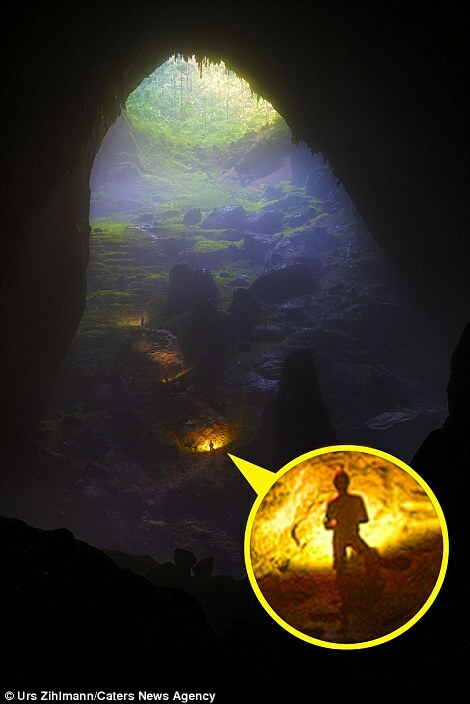 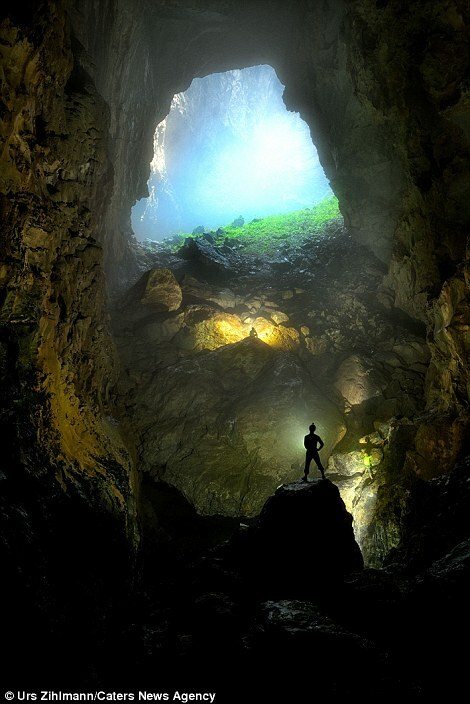 Adventurous explorers must also pass through the third largest cave in the world, Hang Ev cave - used as a location for the Peter Pan blockbuster.